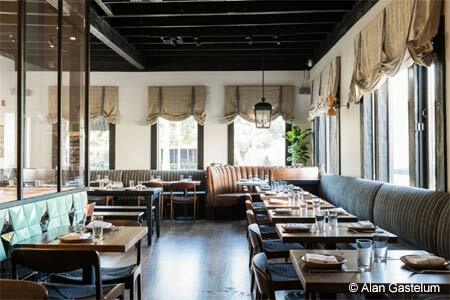 Chef Joe Miller (Joe's, Bar Pintxo) has returned to the Los Angeles area dining scene with Rudy & Hudson California Diner in Santa Monica. Expect casual fare like omelets, pancakes and sandwiches, plus fresh juices and house-made pastries. Rudy & Hudson California Diner, 1920 Santa Monica Blvd., Santa Monica, CA 90404, 424-581-6444. The Rosy Oyster is a seasonal poolside pop-up bar at The Hollywood Roosevelt. Model/sommelier and ex-New Yorker Lelañea Fulton (Dirty French, Megu) curates a hip wine list for what’s sure to be a hot destination this summer just off the hotel’s Tropicana pool. The extensive rosé program offers ten rosé wines by the glass as well as high acid whites, playful reds, a sharp focus on grower Champagne, and “fun orange wine,” vermouth and sherry. Wines are paired with a fresh, rotating selection of oysters. The Rosy Oyster, The Hollywood Roosevelt, 7000 Hollywood Blvd., Los Angeles, CA 90028, 323-856-1970. The former Jerry’s Deli space in West Hollywood is now home to Granville. The expansive restaurant offers skylights, a generous bar and a patio. Look for American classics like burgers, club sandwiches, big salads, steaks, fish and pastas, as well as lighter California fare such as roasted beets, a “paleo plate,” a poke or poblano quinoa bowl, and yuzu lemon mousse. Granville, 8701 Beverly Blvd., West Hollywood, CA 90048, 424-522-5161. 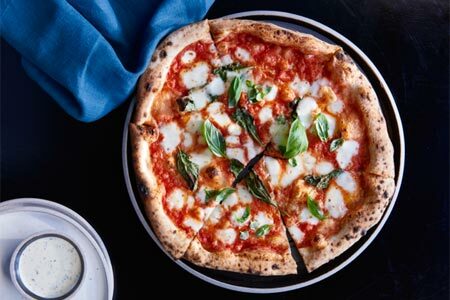 Authentic Neapolitan-style pizza has arrived in Brentwood, courtesy of at Pizzana on San Vicente Boulevard. Chef Daniele Uditi hails from Naples, so expect traditional pies from an Italian wood-burning oven. Co-owner Candace Nelson (Sprinkles Cupcakes) is in charge of desserts. Look for beer and wine, too. http://pizzana.com/. Pizzana, 11712 San Vicente Blvd., Los Angeles, CA 90049, 310-481-7108. Chef Ernesto Uchimura (Plan Check) has opened Electric Owl in the former Gardner Junction space in Hollywood. Look for casual Cal-Med dishes, beer, wine and cocktails, and a patio. Dinner Wed.-Sun.. Electric Owl, 1451 N. Gardner St., Los Angeles, CA 90046, 323-545-6565. Chef Kyle Schutte’s new restaurant The Flats has opened in Beverly Hills in the former Red Medicine space, offering small plates, flatbreads and salads with a contemporary twist. The former “Cutthroat Kitchen” star creates dishes like goat cheese and thyme polenta with roasted mushroom consommé, fennel, tomato kimchi and sorrel; panzanella salad with cornbread, fennel, citrus and a white honey-peach vinegar sorbet; and duck confit flatbread with caramelized red onion, red wine pudding, toasted caraway, herbed goat cheese, pickled red cabbage and baby herbs. The Flats, 8400 Wilshire Blvd., Beverly Hills, CA 90211, 310-909-7549. French pastry chef Dominique Ansel, chef/owner of Dominique Ansel Bakery and Dominique Ansel Kitchen, announced he'll be opening a bakery and full-service restaurant at The Grove in Los Angeles. (The name has not yet been confirmed.) Patrons routinely line up for his famous invention the "Cronut," a half croissant-half doughnut. However, this project will also feature savory options and a full bar program. It will also be the first of his restaurants to serve brunch. Look for a Fall 2017 opening. For more information, visit the official website. Felix, the Italian restaurant from chef Evan Funke (formerly of Bucato), makes its debut in Venice. Expect house-made pastas, wood-fired Neapolitan pizzas and other seasonal Italian specialties. Felix, 1023 Abbot Kinney Blvd., Venice, CA 90291, 424-387-8622. 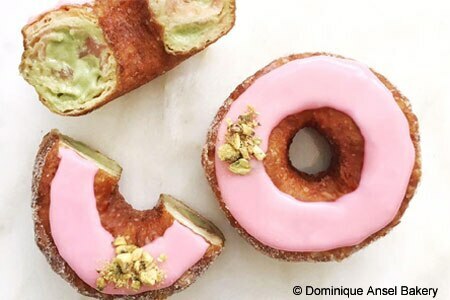 Washington, D.C. import Astro Doughnuts & Fried Chicken has set up shop in downtown Los Angeles. The uniquely flavored treats include crème brûlée and PB&J. The genius, though, is turning a savory doughnut into a fried chicken sandwich. Astro Doughnuts & Fried Chicken, 516 W. Sixth St., Los Angeles, CA 90014, 213-622-7876. Blu Jam Café will reportedly open its fifth U.S. location, this one in DTLA’s Spring Arcade Building in the former BierBeisl Imbiss space, in summer 2017. Look for its famous brunches with luxe Benedicts, omelets and pancakes, and blues music accompaniment. Blu Jam Café, Spring Arcade Building, 541 S. Spring St., Los Angeles, CA 90013, no phone. Matthew Kaner (Covell) will open a new, not-yet-named wine bar in Atwater Village in the Ozu East Kitchen space. Look for curated wines and wine country cuisine from around the globe for dinner and brunch. 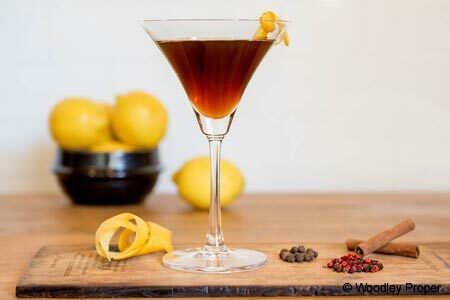 Husband-and-wife team Phillip Frankland Lee and Margarita Kallas-Lee partnered with mixologist Devon Espinosa on Woodley Proper, a cocktail lounge sharing the same complex in Encino as Scratch Bar & Kitchen. Woodley Proper, Encino Place, 16101 Ventura Blvd., Encino, CA 91436, 818-906-9775. 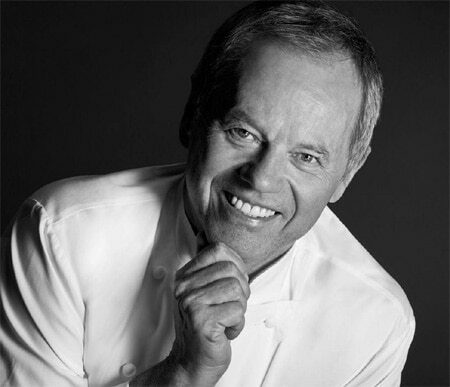 Celebrity chef/restaurateur Wolfgang Puck has been honored with a star on the Hollywood Walk of Fame in the category of Television. His credits include five seasons of "Wolfgang Puck" on the Food Network, as well as guest appearances on "The Simpsons" and "Frasier." Recently, Puck launched The Rogue Experience, a special tasting menu experience at the Pacific Design Center in West Hollywood. GAYOT named him Best Restaurateur in the U.S. in 2010. 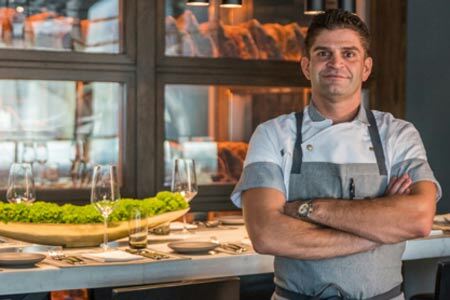 Chef Luciano Pellegrini has returned to Valentino, one of GAYOT's Top 10 Italian Restaurants in the U.S., in the role of executive consulting chef. 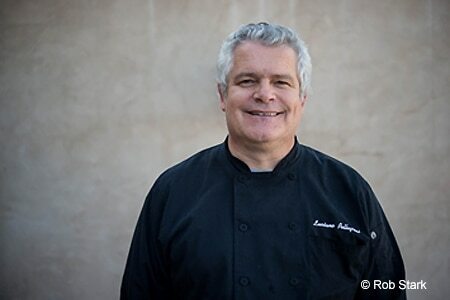 A native of Bergamo, Italy, he moved to the United States in 1985 and began working with restaurateur Piero Selvaggio, eventually becoming executive chef and partner of Valentino Las Vegas. Together with chef de cuisine Tommaso Tarantino, they have crafted a new menu featuring dishes such as smoked quail on potato and asparagus salad with blueberry sauce; fresh tagliatelle with creamy sweet Gorgonzola and homemade egg yolk bottarga; and bone marrow stuffed veal shank braised with vin santo served with soft polenta. Valentino, 3115 W. Pico Blvd., Santa Monica, CA 90405, 310-829-4313. Andreas Roller has been announced as the executive chef of Patina, the flagship restaurant of Joachim Splichal's Patina Restaurant Group. Chef Roller recently helmed the kitchen at Splichal’s Nick & Stef’s Steakhouse and has demonstrated a dedication to finding top-quality ingredients from both local and global sources. Patina, Walt Disney Concert Hall, 141 S. Grand Ave., Los Angeles, CA 90012, 213-972-3331. Brunch fave Doughboys has closed on West Third Street due to rising costs, but the owners hope to resurrect some of the restaurant’s popular items in an upcoming “Doughboys on the Run” concept. Doughboys, 8136 W. Third St., Los Angeles, CA 90048, no phone. Atwater’s charming Asian spot Ozu East Kitchen will end dinner service April 1, 2017, and offer suppers and pop-ups through April 30. A wine bar from Matthew Kaner will move into the space. Ozu East Kitchen, 3224 Glendale Blvd., Los Angeles, CA 90039, 323-284-8773.